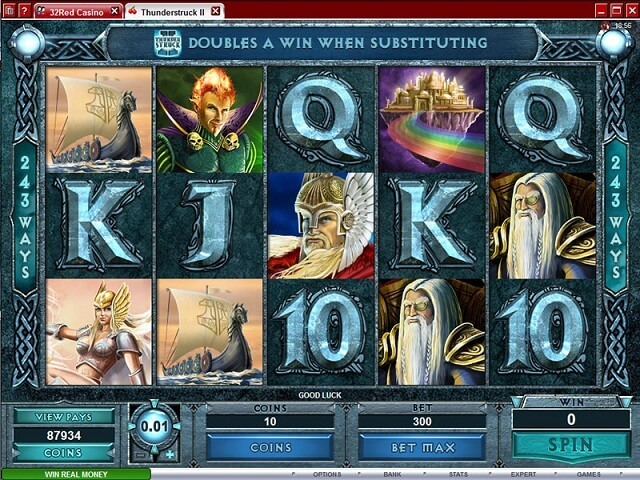 Thunderstruck II brings Thor back for another round of gaming fun after the huge success that was the original Thunderstruck video slot. Players from Canada and all around the world were clearly attracted to the Norse theme of the original game, and they won’t be disappointed in the sequel, either. 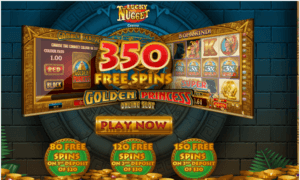 Thunderstruck II can be played at Microgaming casinos, such as All Jackpots Casino and others. Like the original game, it uses symbols from Norse mythology, including including the floating castle, Thor’s hammer and a Viking ship. This time, though, not only is Thor represented in symbol form, but his father Odin, brother Loki and the great warrior Valkyrie are along for the ride. You can expect the same tension and excitement from the music and effects, too. The coin values are not quite as varied as they were in the original game. The coin values include 1 cent, 2 cents, 5 cents, 10 cents and 25 cents. 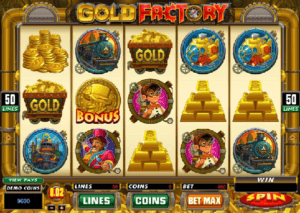 At the largest coin value, you can bet $75 per spin. 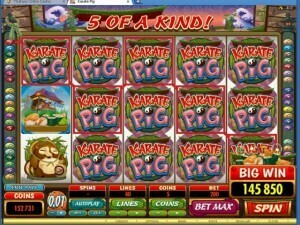 The regular jackpot is a decent, but not mind-blowing 1,000 coins. 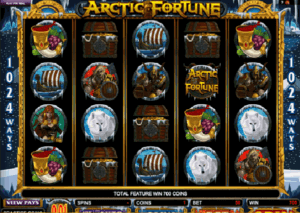 The regular jackpot is triggered by getting five Thunderstruck II symbols. By doing so, you win 1,000 coins. If you get five Thor symbols, you win 500 coins. For Odin or Loki, you get 450 coins and 400 coins, respectively. The wild symbol in Thunderstruck II is the game’s logo, which substitutes for all symbols except the scatter and also doubles your win. The scatter symbol in Thunderstruck II is the hammer of Thor. Other symbols are not wild, but can take on different properties within the Hall of Spins. Finally, there is the Wildstorm feature, which can strike and randomly turn entire reels (up to 5 at a time) wild. 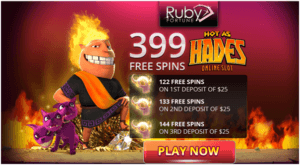 To enter the Hall of Spins, you have to collect 3, 4 or 5 hammers among all the reels and paylines. 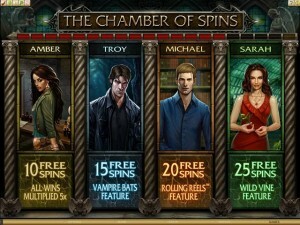 In the Hall of Spins, there are four distinct bonus games. 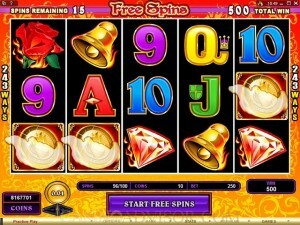 The first is the Valkyrie game, where you get 10 free spins, with all your wins multiplied by five. 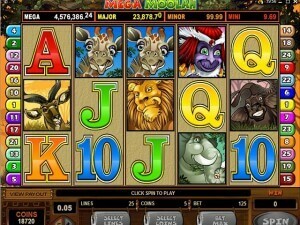 The second is the Loki game, where you receive 15 free spins and the Wild Magic feature. The Wild Magic feature appears on reel three and can randomly turn other symbols into wild symbols during play. 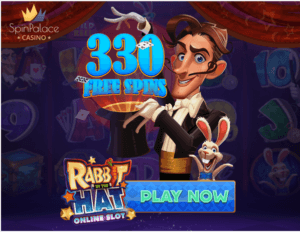 In the third game, the Odin game, you get 20 free spins and the Wild Raven feature, which sometimes randomly turns symbols into 2x or 3x multipliers. If you get both ravens, you will have a 6x multiplier. 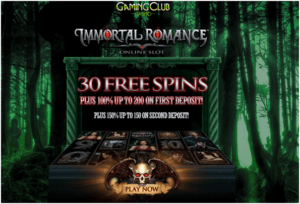 Finally, in the Thor game you will receive 25 free spins and the Rolling Reels feature, which increased the multiplier by 5x with each consecutive win. For the first five times you trigger the Hall of Spins game, you go to the Valkyrie game. In the next five, you go to the Loki game, and to the Odin game the five after that. After the fifteenth time, you go to the Thor game. The software remembers your position when you exit the game, too. 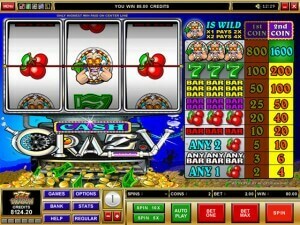 Thunderstruck, while charming, was a bare bones video slot compared to the technological marvel which is Thunderstruck II. The theme has come alive in new ways, the bonus features are innovative, and the Wildstorm feature can appear at any time, keeping players on their toes. 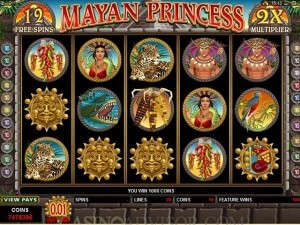 This is one of the more advanced slot games out there, and it shows.